See what Joe's Premium Firewood says about the Pinch A Log in this first-impression test and review. See what happens when Taras Kul (a.k.a. Crazy Russian Hacker), one of the largest channels on YouTube, puts the Pinch A Log to the test! 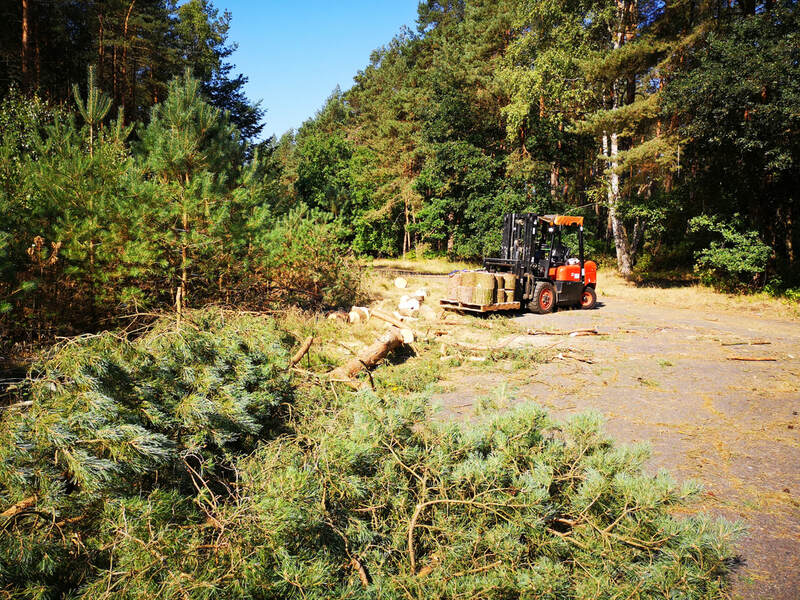 ...then its time to bring out the forklift! Thanks to Marc Speer (www.speerpyro.de) for the contribution. 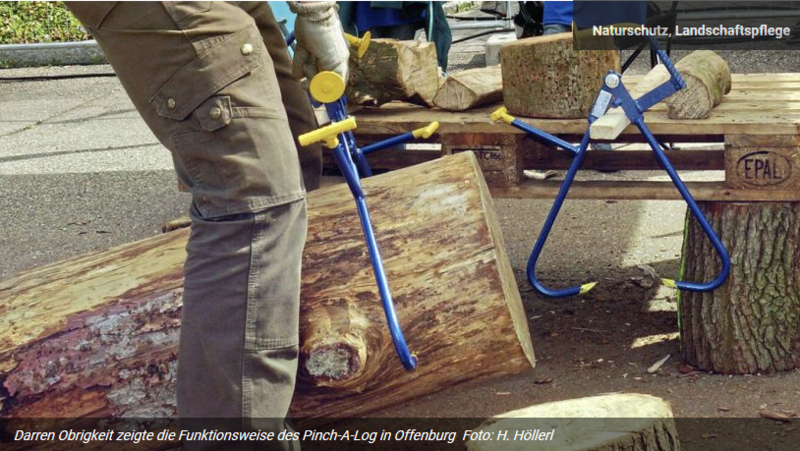 This article in ForstPraxis demonstrates how the Pinch A Log can be used to lift long logs without bending your back. As seen in the June edition of Forst & Technik. After working with Pinch-A-Log I’m happy to say it exceeded my expectations! 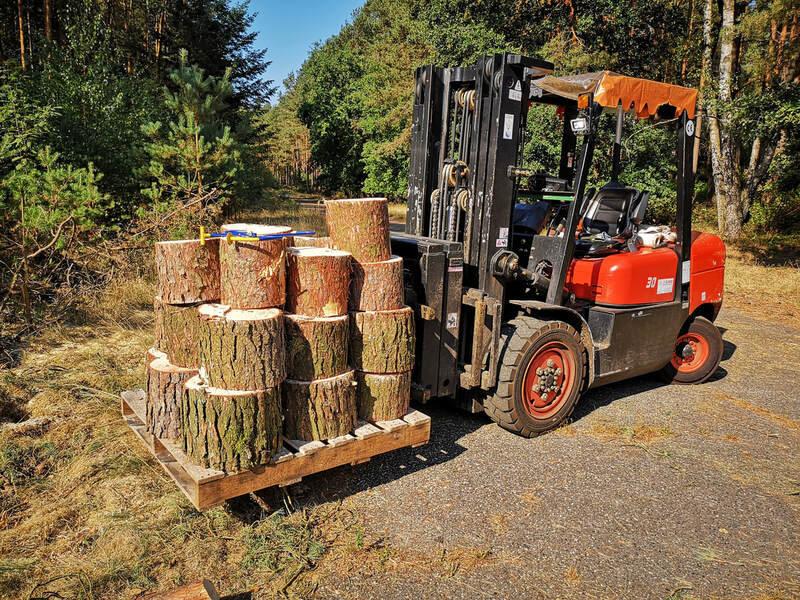 No other log handler can securely hold up to a 26” log ‘by the ends of the log’, allowing you to easily lift heavy logs with both arms and neatly stack the logs like the Pinch-A-Log does. 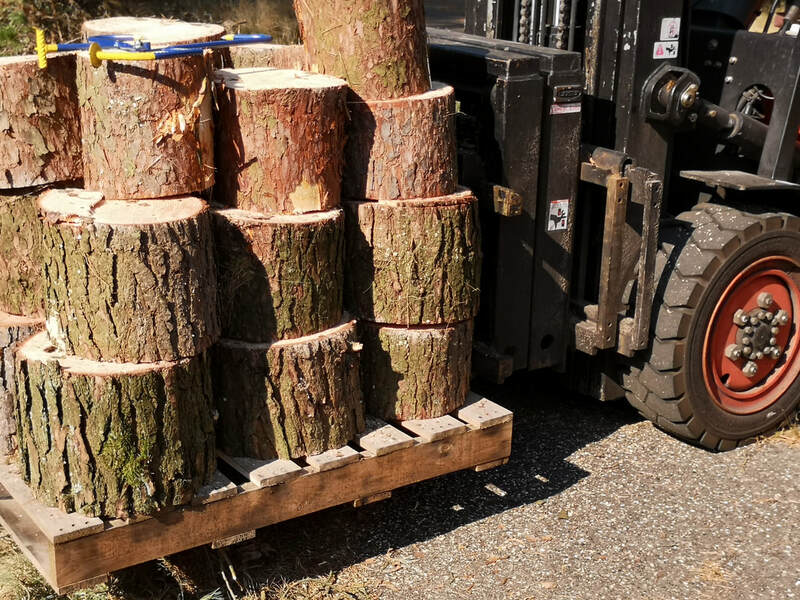 I also use the Pinch-A-Log to unload the logs by grabbing them at each end thus eliminating the risk of pinching my fingers between the logs. Setting the points into each end of the wood is effortless, the tool allows you to carry the wood at your side instead of in front of you like using a Pick-A-Roon where the log can release and fall on your toes without warning. 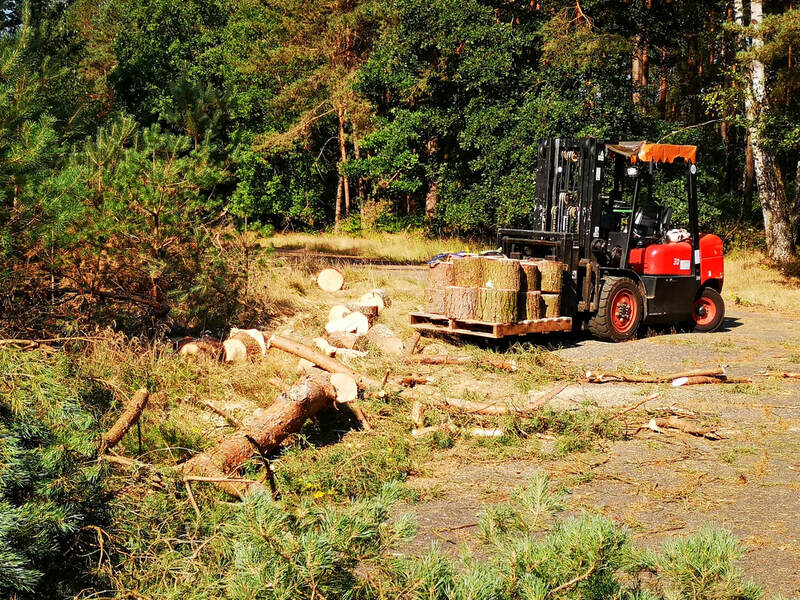 Lifting the log at each end ensures a better carrying balance vs. carrying a log with other brands that only grab the log in the center and as you lift the log, the heavy end drops down and the log sometimes releases. 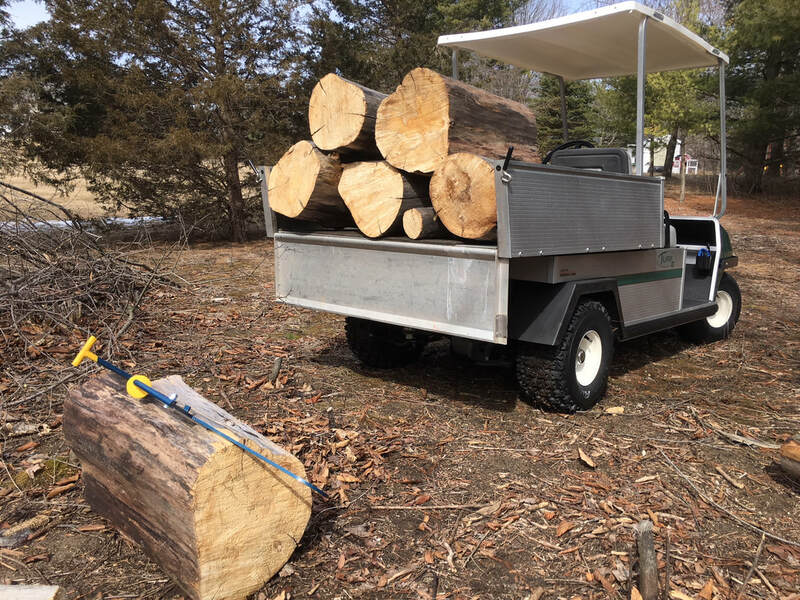 The Pinch-A-Log allows me to handle even wet logs safely - I can now move twice as many logs in one day without getting tired and without being afraid of one coming loose and falling on my feet. Great product - I’m proud to say I own one! !